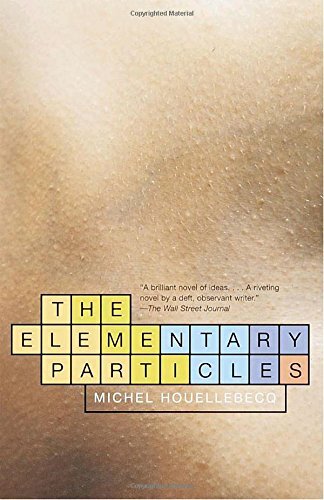 Episode 225: Michel Houellebecq, The Elementary Particles | Book Fight! Hey! I really enjoyed this episode. I’m always down for some tomfoolery (and Mike-foolery), but I also enjoy it when you get into a deep discussion about something, and your attempt to work out your feelings on separating art from the artist and problematic figures in general was interesting. This is an inaccurate statement. Houellebecq is probably the only writer in France who is at the same time a popular best-seller and held in very high esteem among literary critics. The majority of the Parisian literary establishment has been licking his arse for the last 20 years (since the “Particles”). True, he’s caused controversy (especially with the last one) and some public personalities have severely rebuked him, but they read him nonetheless, and you hardly ever hear his name mentioned by a critic, a journalist or an intellectual in a French TV talk show without the expression” greatest writer alive” closely following. He even received the Goncourt prize – that’s not exactly being ignored by the establishment.